A solid hand cream rub. 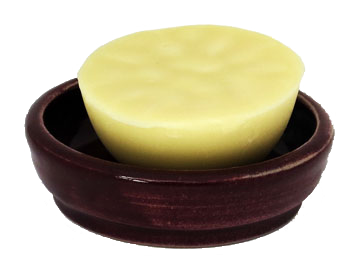 The ingredients are beeswax and olive oil, scented with either lavender or rose geranium essential oil, or left unscented. To use, simply rub into the hands as required. 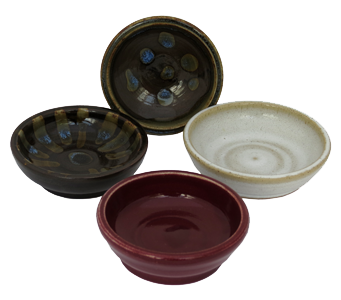 There are stoneware dishes available in a variety of colours for the hand cream to sit in. 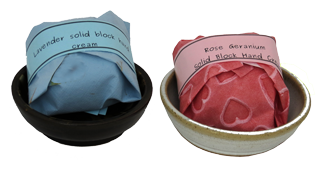 Hand creams are available wrapped, optionally with a Crafty Jay stoneware dish.